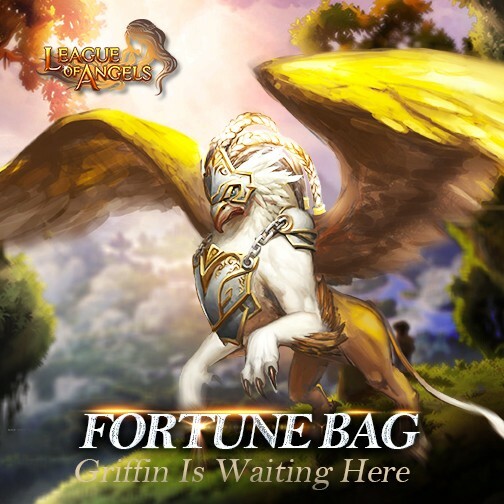 1.The Fortune Bag lasts for THREE DAYS now. 2.Players have a higher chance of getting Angels, mounts and fashions. Good luck! 3.Wanna awaken Frigg? Great. She is EXCLUSIVE in Fortune Bag! 4.Hemera Awakening Stone, Griffin, Bone Dragon and Steampunk are newly added here. 5.Reach 100,000 points, players can get the corresponding rewards! Find another way to gain great items and boost your Battle Rating! Angels, mounts and reources await you ahead! 1.In general, three different Fortune bags with be there, namely, Mount Fortune Bag, Angel Foturne Bag and Fashion Fortune Bag. 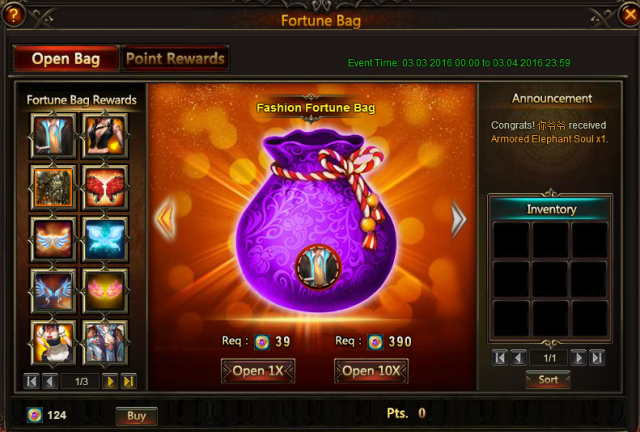 Each kind of bag contains various items which are different from those in other bags.Players can get items randomly by using certain tokens to open them. 2.Reach certain points to collect corresponding rewards. Steam Punk, City Hunter Costume, Golden Attire, Wings of Vegeance, Elven Camouflage, Endearing Cat Clothing, Cupid, Pirate Costume, Medieval Armor, Majestic EXP Totem Chest, Purgatory Soul, Blessed Stone and more will drop randomly! It contains many mounts and resources. Many angels and resources will drop randomly when open the bags. Time to dress up new fashion! Open your bags for more! Reach certain points to get your rewards! 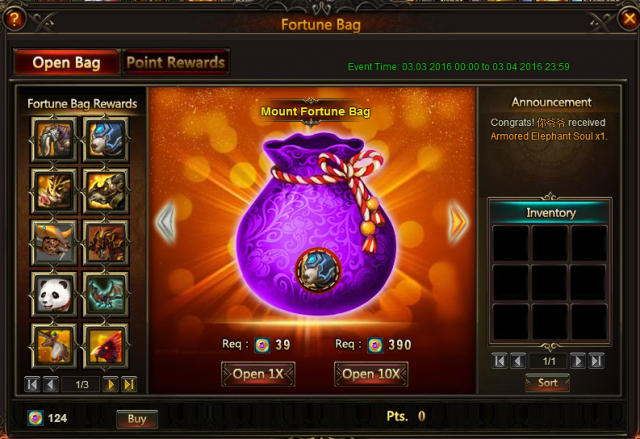 It’s the token which can be used to open Fortune bags. 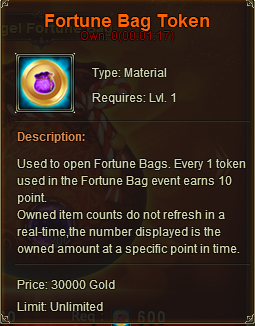 Every 1 token used in the Fortune Bag event earns 10 point. Please note that the above content (including the screenshots) might be adjusted due to changes of the development plan. Final updates will be determined in game. More exciting events are coming up through May 16 to May 19 (Server Time), check them out in the in-game Hot Events menu now!